Sony's 24.3 MP Exmor APS HD CMOS sensor combined with a versatile E-mount interchangeable lens system enables the camera to take images of the astounding quality. Fast hybrid autofocus system allows capturing every subject clearly with unparalleled precision in record time. The video recording button is placed somewhat inconveniently. You will not miss an important moment and will be able to easily make a successful shot with this camera. The model is very handy and all of the controls are fairly ergonomic, which increases the comfort levels during the shooting process. The new APS-C X-Trans ™ * CMOS II sensor generates close to no noise at high ISO values, allowing you to take high-quality pictures in low light without having to use a flash. Balanced handling and grip are useful when it comes to shooting with some additional comfort. Slow camera start after standby mode. 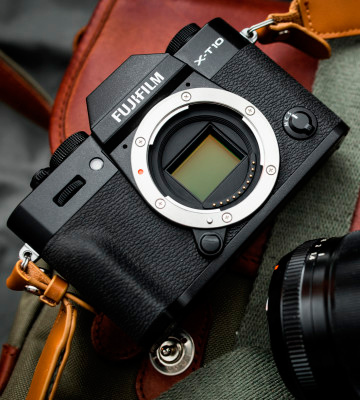 The mirrorless X-T10 camera is one of the best options for those who want to have a high-quality, technologically impressive, and compact camera with the most advanced features. Several customisable buttons give you quick access to frequently used functions, allowing you not to waste time setting up the camera and focus on the object instead. The model in question boasts an incredibly fast serial shooting feature that reaches up to 20 frames per second utilising the autofocus option. 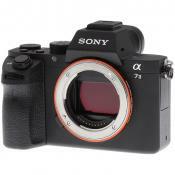 The adapter allows you to connect to the model "F" lenses, which are used on conventional SLR cameras. The package does not include a so-called "hot shoe". 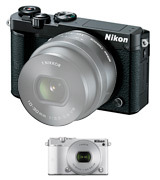 This Nikon model provides plenty of opportunities not only for beginners but also for experienced enthusiasts. The ergonomic aspect was improved and the housing was redesigned compared to the previous generation. J5 gives its owner the opportunity to shoot videos in 4K. 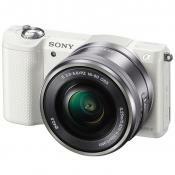 This is a compact camera for a reasonable price. 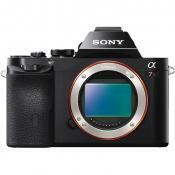 The model features one of the fastest and most accurate single autofocus options among the models in its class. it also includes built-in Art Filters, which will immediately edit the photo and a Live Guide that provides comprehensive information about each function of the new camera. There is no "PASM" feature which complicates the use of the camera. Olympus Pen E-PM2 is a simplified version of the OM-D line of cameras with the same image quality but in a lightweight and more compact housing. The model delivers excellent colours and exposure when it comes to JPEG shooting and provides easy control with the help of just a few buttons and a navigation wheel. Sony is a Japanese transnational corporation headquartered in Tokyo, formed on May 7, 1946, that specialises in the production of home and professional electronics, gaming consoles, and other high-tech products. Sony is one of the world's largest media conglomerates, owning the record label of Sony Music Entertainment, the Columbia Pictures studios, and TriStar Pictures, as well as a full archive of MGM films (in conjunction with Comcast). So buying any piece of electronics from this company, you know full well that you're getting a quality piece of technology. 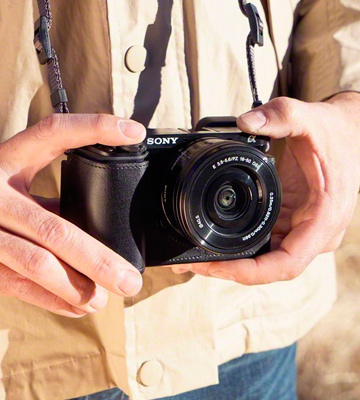 This Sony camera model features some major changes that are related to the sensor. The new 24 megapixel 'Exmor APS HD' CMOS sensor has on-chip phase detection similar to its predecessor, but it covers a much larger area of the frame. This model has better AF tracking which is noticeable when you are shooting continuous shots. This device's image processor is Bionz X with improved detailing and smart noise reduction. 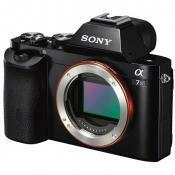 The Sony model in question stands out from similar models due to Hybrid AF System. 25-point contrast detect stays the same compared to the previous generation but the number of phase-detect points has grown from 99 to 179 which means you can track objects in a much wider area. Going back to the Bionz X Processor, this is a more powerful version than the one used in previous models thus providing the user with a more refined performance. Moreover, this processor promises "Diffraction Reduction", which means correcting the mildness caused by diffraction. The context-sensitive is more advanced now with noise reduction becoming area-specific. 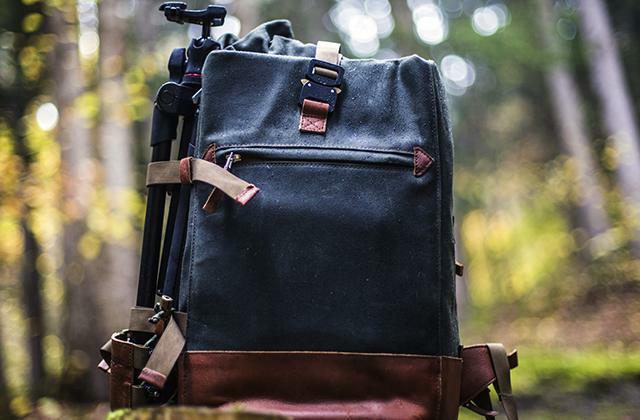 The camera delivers smooth tones and is capable of concentrating on the object's edges. This device comes equipped with two Auto ISO modes: traditional mode and complicated one ( JPEG-only mode), which shoots 3 pictures and combines them together in order to reduce noise. The owner can set a desirable aperture and shutter speed, and the camera changes the ISO to correct exposure (all while giving control over the brightness of the image). 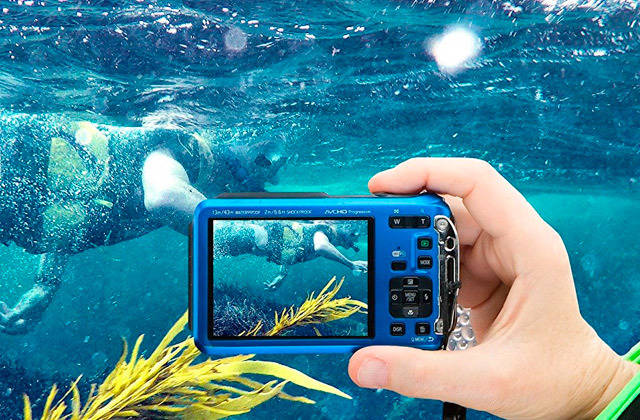 This model has a tilting LCD with 921,600 pixels resolution and an aspect ratio of 16:9, which is great for both video and photo shooting. 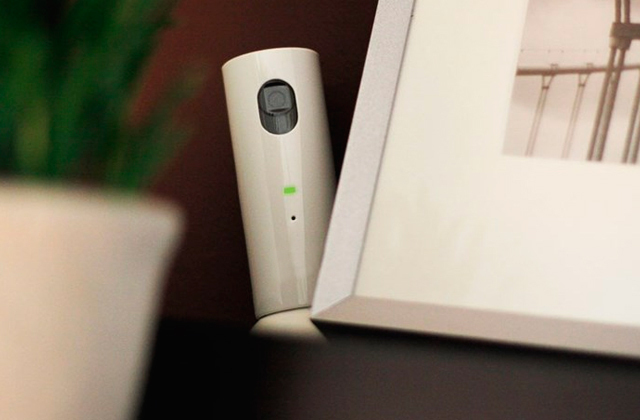 This camera's Wi-Fi system means the device can be easily controlled remotely via the user's smartphone. And if your phone is equipped with NFC, you don't have to bother with Wi-Fi, just bring the devices close to each other. 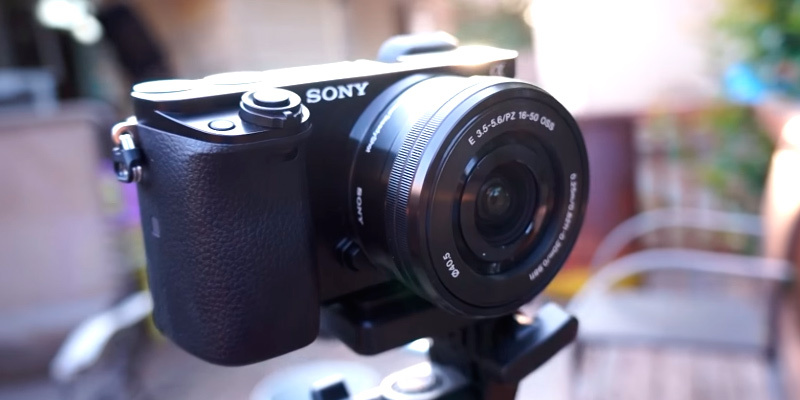 The brand new Sony characteristic is the ability to monitor this mirrorless camera through your Mac or PC. The matrix provides correct colour reproduction while preserving the details, but, of course, utilising only high-quality optics. 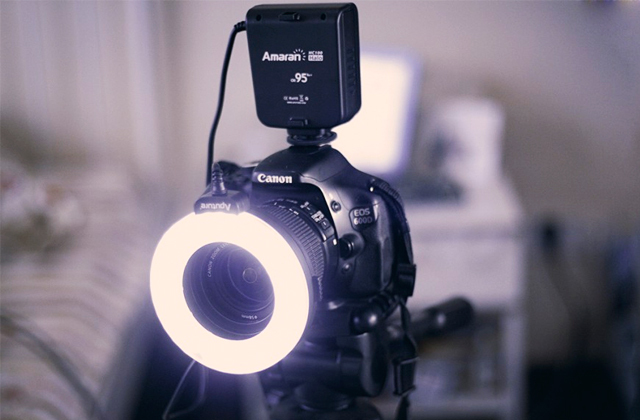 But if you want to increase the results, it is necessary to choose the correct colour and white balance settings. The system of automatic focusing is delightful. 179 phase sensors cover 92% of the frame, missing only the extreme points of the corners. The speed of aiming is amazingly high even in bad lighting conditions. The tracking system notes even fast moving objects and watches them very closely. Also, the automatic focusing system works during video recording. This camera records video in standard 24/25/30/50/60p Full HD in AVCHD and MP4 delivering a considerable level of quality. 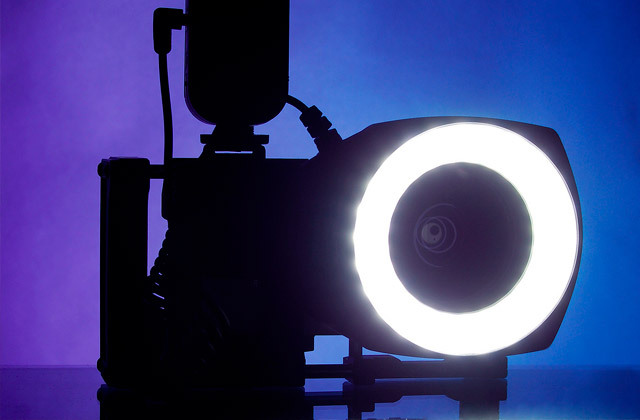 Although the autofocusing system that can operate during recording is an undeniable plus, you still need to understand what exactly you want to shoot, because some scenes are much easier to capture with your own two hands without using this useful feature. So, this is an amazing ergonomic camera with low-noise matrix and good autofocus (even in video mode) and it is undoubtedly one of the best professional mirrorless cameras out there. Wi-Fi and NFC options make it modern enough to meet any user's requirements. 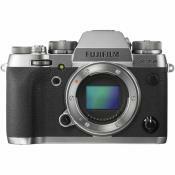 Fujifilm Holdings Corporation is a well-known Japanese manufacturer of cameras and one of the world's largest manufacturer of photographic products, which has laboratories, factories, and representative offices in Asia, Europe, and North America. 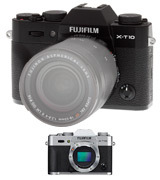 Fujifilm X-T10 design is that of a contemporary classic. It looks like the cameras of the tape era, but it is successfully supplemented with the newest controls and features. The housing of the device is made of magnesium alloy which greatly affects the tactile sensations. 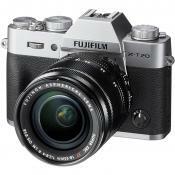 The metal construction adds X-T10 durability but does not increase the weight. Also, T-X10 dimensions present a considerable advantage, too. The width, height, and thickness are 118.4 mm, 82.8 mm and 40.8 mm accordingly. There are two options for the colour design: silver and black. Shooting while holding the camera with a single hand is possible without worrying about losing a grip. 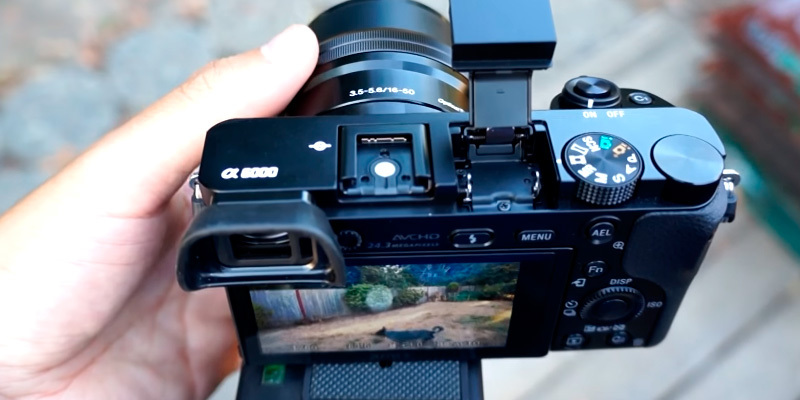 Of course, Fujifilm also offers an accessory grip if you do not feel comfortable taking pictures without it. 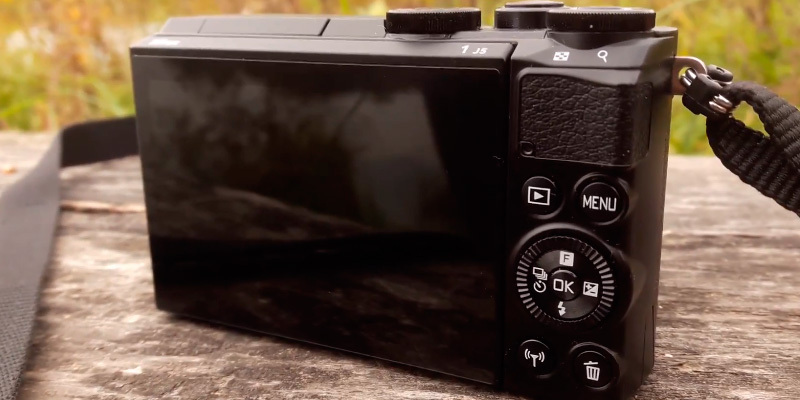 We've got to talk about the controls of this small mirrorless camera. There are three dials to maximise the operational settings of the shooting parameters - exposure compensation dial (in the range -3 to +3 EV in increments of ⅓ step), controls shutter speed (from 1 sec to 1/4000 sec) and the drive mode dial (for the operative selection of the shutter mode and special shooting modes). 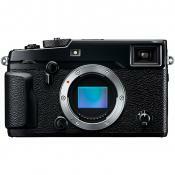 X-T10 camera features the X-Trans CMOS II sensor with a resolution of 16.3 megapixels as a photosensitive element. The sensor in question is one of Fujifilm's own technologies. Its peculiarity relies on the atypical location of coloured elements, different from the standard "Bayer" model. 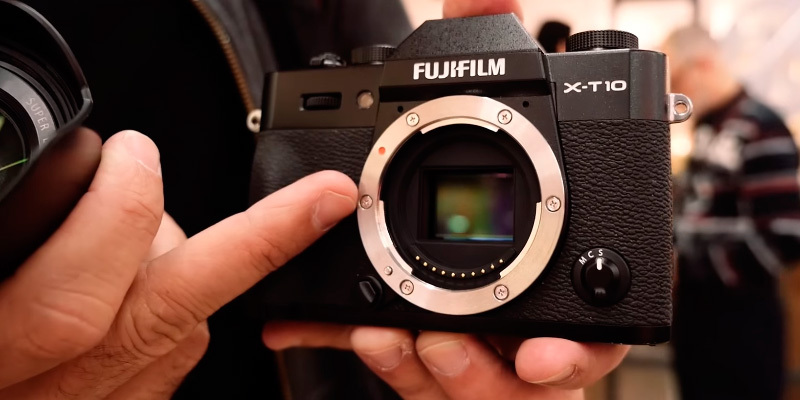 It is the X-Trans-sensor that is responsible for the amazing and special colour rendering that makes Fujifilm cameras different from a myriad of competitors. 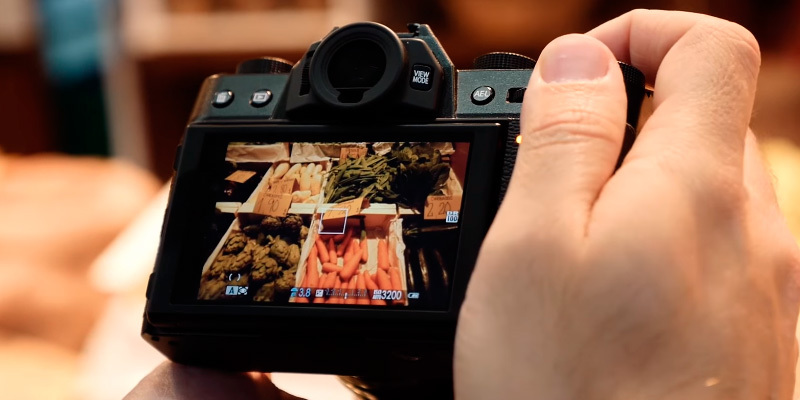 Moreover, the X-T10 matrix comes equipped with the phase detection pixels, the presence of which should positively affect the speed and accuracy of focusing. 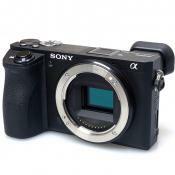 This camera is featured with a digital viewfinder on the external display, which is endowed with an inclined design. This feature is useful when the shooting point happens to be very low. The diagonal of the screen is 3 ", the resolution is 920,000, the aspect ratio is 3: 2. It's hard to surprise anyone with a camera supplied with a video recording function nowadays, so video mode is not a big surprise, but the quality of it definitely manages to stand out, recording in Full HD with a resolution of 1920 x 1080 and a frequency of 60p, 50p, 30p, 25p, and 24p. 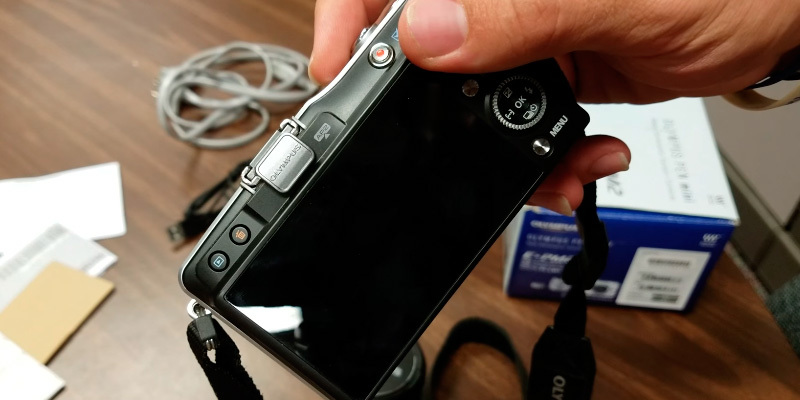 Unfortunately, the headphone jack is not featured in the Fujifilm X-T10 but there is a jack for connecting an external microphone. Its diameter is slightly different from the most common 3.5 mm (mini-jack) and is 2.5 mm. However, it is easy to find adapters that solve this problem. 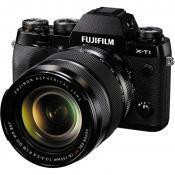 This Fujifilm camera fits professionals just as good as it does amateurs and it is definitely worth its price. The EOS M3 mirrorless camera is equipped with an APS-C image sensor with a 24.2 Megapixel general resolution. The highest light sensitivity level supported by the sensor conforms to ISO 12800, though it can be increased to 25600 to prevent you from missing an important shot even in poor lighting. In case you are striving for even more quality shots, the continuous shooting in RAW format at the rate of 4.2 frames per second will help you succeed. While this frame rate is not the highest one in comparison to other modern mirrorless cameras it proved to be sufficient for most amateur users. The EOS M3 is known for its improved focusing with the Hybrid CMOS AF III system comprising 49 sensors distributed along the frame. These improvements allow for increasing the focusing speed more than 6 times in comparison to the camera predecessors. 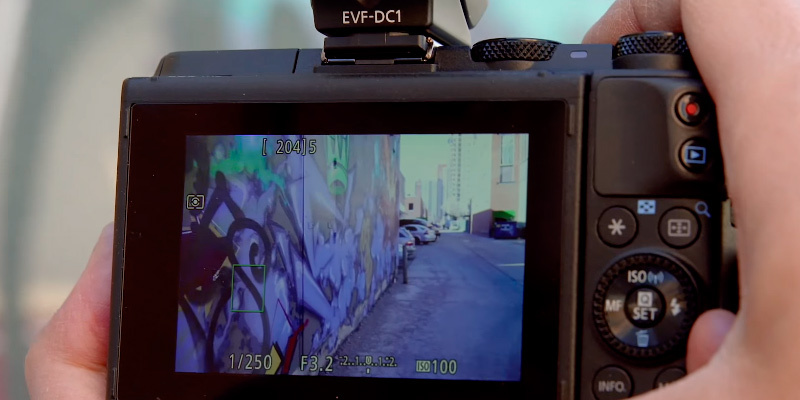 It is notable that the Hybrid CMOS AF III system performs in full even when you make a video footage contouring a subject with red lines, which is very convenient especially in a bright light that may make the display hard-to-read. 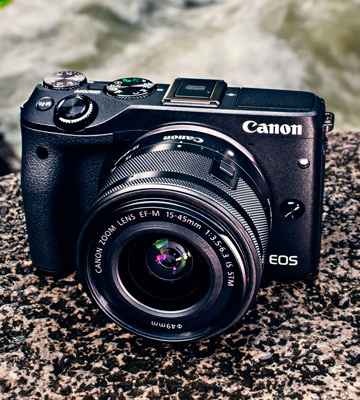 The optical zoom of this Canon mirrorless camera is realized with a standard lens with 18-55 mm focus length, which is probably a happy middle ground for amateur photographers enabling them to take both expressive portrait photos and stunning landscape pictures. Anyway, if you feel the included lens doesn't perform good enough, you can purchase another lens model compatible with the lens mount of the EF-M.
Nikon Corporation is a Japanese company, which is famous for manufacturing of optics and electronic devices for image processing. Nowadays the company has been restructured into four divisions: photographic equipment and photo accessories, precise equipment (the production of systems for the manufacture of microcircuits and LCD screens), tools (production of industrial microscopes and measuring equipment), and other fields (mostly different kinds of medical equipment). But despite all of these divisions, Nikon is still associated first and foremost with quality cameras and the particular model in question sticks to that tradition. 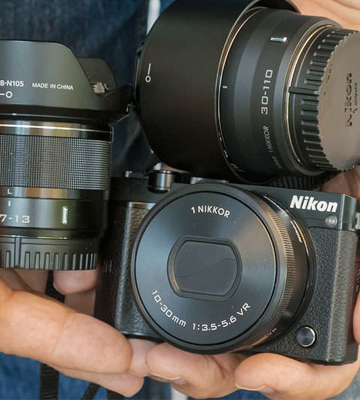 Nikon 1 J5 is an amateur mirrorless camera for those who have already outgrown their smartphones and are striving for better image quality but don't want to invest in some of the more expensive equipment just yet. This small mirrorless camera may seem somewhat simple but it absolutely delivers where it most counts. The combination of a minimalistic design, powerful specifications, and a necessary set of functions in a tiny housing presents a sufficient amount of good reasons to call the J5 a great camera for everyday shooting and an alternative to budget DSLR cameras. Currently, the J5 has the highest resolution from the entire Nikon 1 line, allowing you to take pictures in 5568 x 3712 pixels with a 3:2 format. Moreover, the sensor is manufactured with backlighting technology, which is an advantage when it comes to shooting in low light conditions. The lack of a smoothing filter in the sensor is also a pleasant feature that allows the user to avoid low detailing. The new generation processor Expeed 5A improves the images with both low and high ISO values - up to 12800. Besides, this small and compact mirrorless camera has an impressive speed of serial shooting - 60 frames per second with a fixed autofocus. With the permanent autofocus, the rate of the shooting decreases to 20 frames per second, which, however, is still a very good rate. The new processor has expanded the possibility of video shooting - now Nikon 1 J5 is able to record videos in a 4K format. Though the camera does it with a frequency of only 15 frames per second. The camera also supports time-lapse shooting up to 300 photos with the ability to set time intervals. All in all, this is one of the best contenders for a title of the best mirrorless camera for video. One of the main advantages of the Nikon 1 J5 is a large 3-inch display on the rear side of the housing. 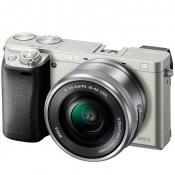 It has a resolution of 1,037,000 pixels and a rotary function. The display is able to rotate 180 degrees to capture selfies (the mode is automatically activated in this position) and it is also convenient to fold for shooting with arms stretched out. The screen supports touch control which is very useful for quick focus and quick access to shooting parameters. 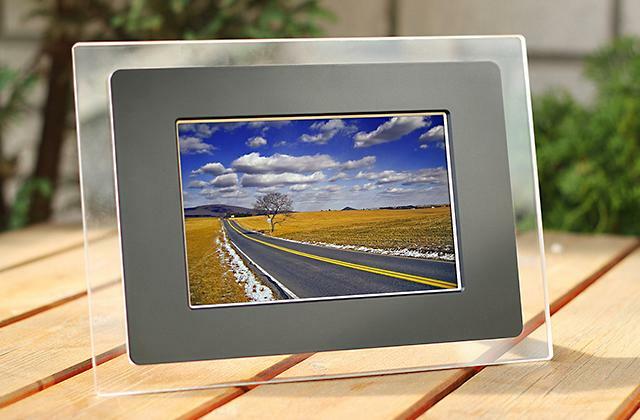 Support of the Multitouch function provides the opportunity to enlarge the image on the screen by touching it with two fingers, as well as flipping the pictures without using any of the buttons. 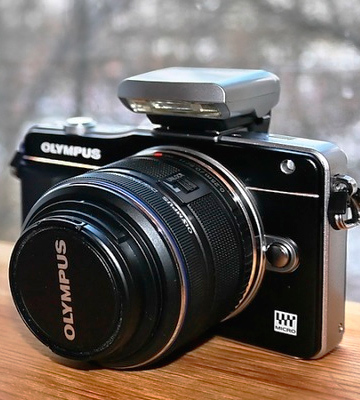 Furthermore, a hybrid autofocus system is implemented in this compact mirrorless camera. When you use a single-point focusing mode, you will have 171 focus areas, of which 105 central ones support phase detection, and the rest - contrast detection. With the automatic selection of the autofocus zone, the available number is only 41. 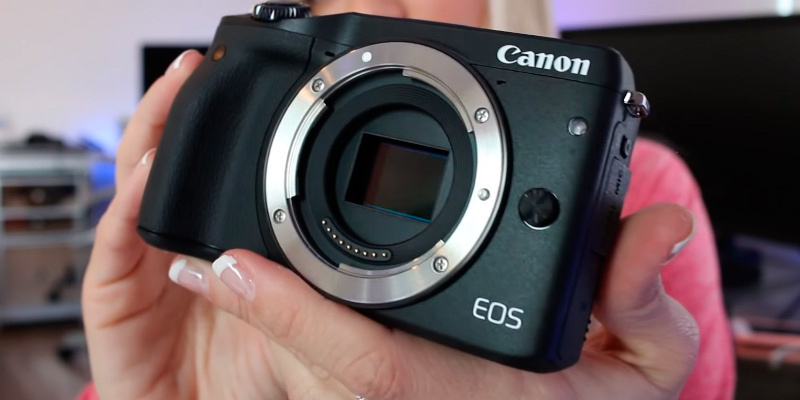 In conclusion, this is one of the best beginner mirrorless cameras on the current market and its price is fairly low given the outstanding specs it comes with. Olympus Corporation is another well-respected and renowned Japanese manufacturer of optics, photographic equipment, high-quality optical equipment for medical and biological research, and other technical solutions. 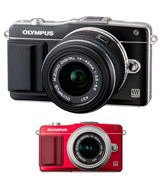 The company expanded its "mirrorless" line with OM-D, E-M5, PEN E-PL5 and PEN E-PM2 devices in 2012. The updated PENs are equipped with the same new Live MOS sensor with a resolution of 16.1 megapixels and a TruePic VI processor. E-PM2 is available in black, silver, white, and red colours. 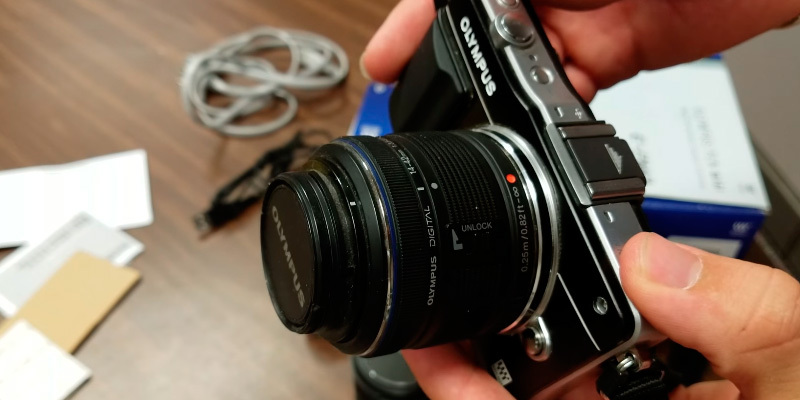 One of the best things about the model in question, Olympus Pen E-PM2, is its housing that stands out in terms of convenience. The display is rather user-friendly when it comes to both the settings of the device and the shooting itself. The brightness and colours are adjusted within fairly wide limits. However, the display can sometimes be somewhat forgotten, since it is not always necessary. There is a customisable function key on the top side of the housing next to the on and off buttons that also allows you to enter the "LIVE GUIDE" - a small guide to photography and the capabilities of this device. This guide makes this model easy to use even for a child. Generally speaking, PEN devices are convenient for beginners and amateurs. The E-PM2 menu does not seem to be overcomplicated, but it contains a lot of options. Though newbies shouldn't be afraid since there are a lot of built-in hints. Also, the camera includes some advanced features for experienced users as well. For example, there is not only the possibility to adjust the brightness of the display or to select the functions of the buttons, but also, for instance, to adjust systematic correction in a particular measurement mode in the exposure meter. It is also possible to close the "extra" items. Of course, this flexibility of settings does not make this device more "professional", but certainly more convenient and user-friendly. All of the ergonomic features of E-PM2 become especially noticeable in the cold conditions. If you read the instructions, the device's optimal range of operation is somewhere in the temperatures between 0 and +40 Celsius, but this small mirrorless camera behaves perfectly even in a much colder weather. The automation option allows you not to return to the settings too often, so you only need to turn on the device in a warm setting beforehand, after which you can safely continue shooting. Even if the device falls asleep, there's no need to worry since it wakes up after a single press of the trigger. However, after a five-minute sleep, the device turns off completely. It is possible to make more than four hundred shots in a frame-by-frame mode, up to four dozens with a flash, more than five hundred shots in long series, and several more videos with a total duration of about a quarter of an hour each with just one fully charged battery. You can also choose various effects for your photos. 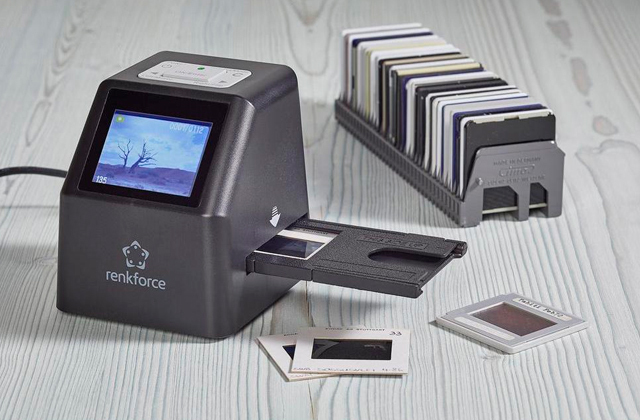 This device records several images using a variety of art filters on the memory card. The user can even choose which effects will be applied. After shooting, you will have to wait until the pictures are saved on the memory card. Moreover, the model is equipped with some more advanced features, specifically the vignetting compensation and noise reduction. Though vignetting compensation is not the most noticeable feature, the noise reduction one works wonders. Just take some pictures at dusk and set different noise reduction levels. 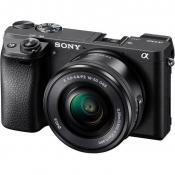 To sum it up, this is a very efficient and affordable compact mirrorless camera. It might not satisfy every professional out there but will definitely meet the requirements of amateurs and enthusiasts. A mirrorless digital camera is yet another step from inexpensive cameras towards the realm of professional photographer equipment and exciting pictures you can take with this equipment. 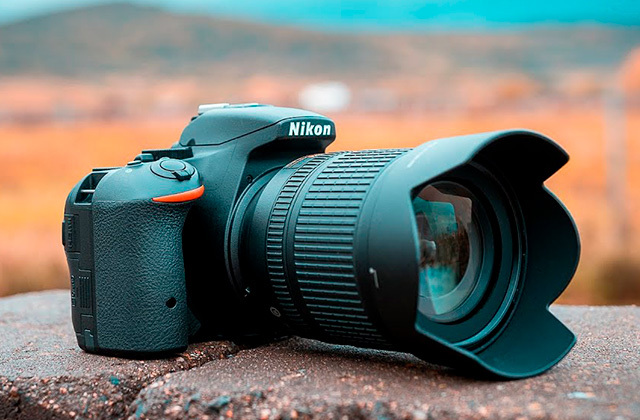 The first significant difference between mirrorless cameras from snapshot cameras is advanced high-resolution image sensors used, which are comparable in terms of performance with those of entry-level digital single-lens reflex (DSLR) cameras. 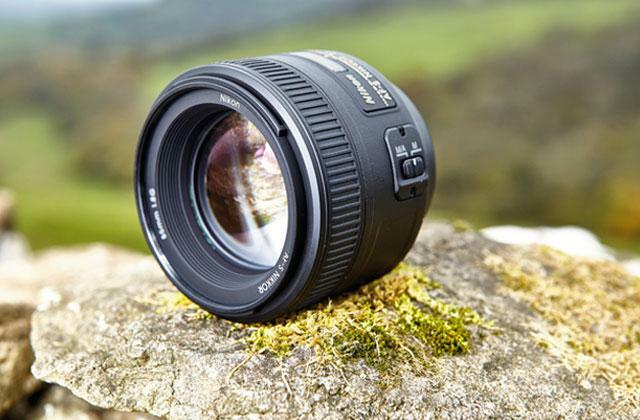 The second distinguishing feature is the design that allows changing lenses on such digital cameras. Also, as the name suggests mirrorless cameras are not equipped with systems of mirrors and optical viewfinders. In what follows is the examination of the parameters and features, which you should closely regard when choosing a mirrorless digital camera. 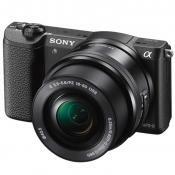 If you happen to be looking for a compact camera, which offers an advanced zooming, we suggest reading our digital point-and-shoot cameras and bridge cameras reviews. 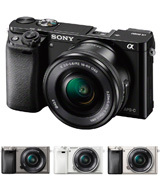 Q: What is the best mirrorless camera for an amateur? A: We're afraid this is one of those questions that can't be answered in a single sentence and we cannot suggest you a single specific model. 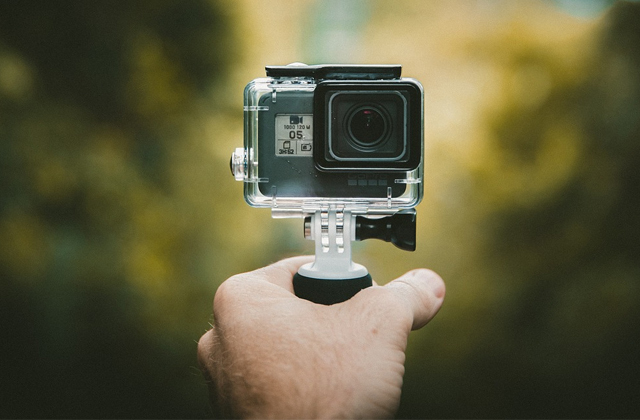 The main question is what price are you willing to pay for the device and is your level of proficiency high enough in order to justify purchasing a professional or even a semi-professional camera. The best way to make the right decision is to pay attention to the price/quality balance. Watch all of the chosen device's specs and then compare it with its price. It might take you some time before you find your appropriate model but when you finally find it, you'll be able to enjoy shooting with your brand-new camera. Q: How can I choose the lenses for my camera? A: There's no need to buy a large number of lenses, especially if you're not a professional, but the more items you have in your possession, the more diversity you will have, so the probability to choose the appropriate one increases. Make sure the class of the desirable lenses is appropriate for the shooting style you chose. For instance, if you mostly shoot landscapes, you shouldn't buy the lenses that are more appropriate for portraits shooting. 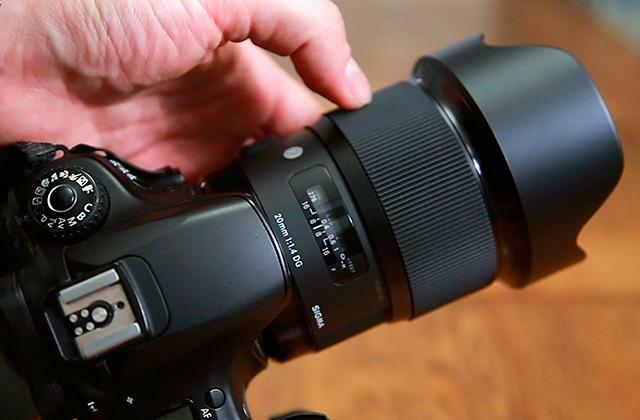 Also, purchasing lenses for the brand-new device, it's important to remember that the size of the sensor affects the angle of view, thus influencing the end result of your photos. As you enter the world of removable lenses, you can rummage deep into research with stuff like optical design, the number of aperture blades, lens coatings, and all that other good stuff that makes costly lenses so, well, expensive. Q: What is a viewfinder? A: Viewfinder is an auxiliary device of a camera which serves to monitor the shooting subject and determine the boundaries of the shot. Some types of the viewfinder are also used for image quality control, mainly for focusing. 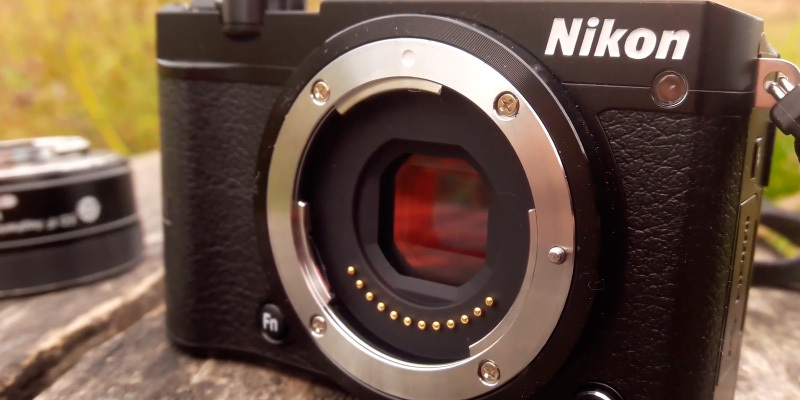 Q: How does mirrorless camera autofocus work? A: DSLR cameras use the phase detection to focus on an object, but mirrorless cameras use contrast detection. Contrast autofocus works this way: the processor measures the histogram obtained from the camera's matrix, slightly moves the lens (shifting the focus point), then re-measures to see if the contrast has increased or decreased. If the contrast has increased, the camera continues to shift the focus point in the selected direction until the image becomes the most contrast it could possibly be. If the contrast has decreased, the lens has to move the focus point to the other side. The process is repeated until the maximum contrast is reached. Contrast autofocus measures an image (used as a sensor and coinciding with the focus point selected by the photographer) from a small area of the matrix. This allows it to select the object for you to focus on and eliminate the camera's processor from having to measure the contrast of the entire image, thus, it measures the contrast only at selected autofocus points. 4. 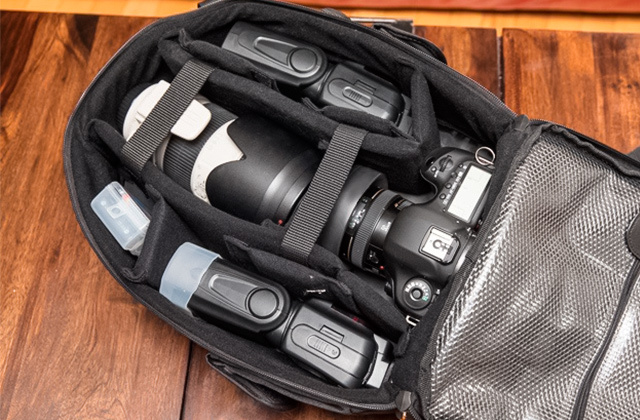 Nicholas Donner 5 Things You Should Know About Mirrorless Cameras, Craftsy. January 9, 2015. 5. Eric Angevine Mirrorless camera buying guide, Crutchfield. September 1, 2016. 6. 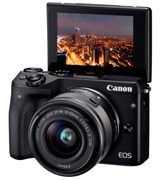 Canon EOS M3 review, Trusted Reviews. 7. Dan Bracaglia, Richard Butler, Rishi Sanyal, Carey Rose, Samuel Spencer 2016 Roundup: Interchangeable Lens Cameras $500-800, Digital Photography Review. May 9, 2016. 8. Richard Baguley DSLR vs. Mirrorless Cameras: Which Is Better for You? Tom's Guide. April 21, 2016.